The US intelligence chief is in South Korea, a government source said Wednesday, on a visit seen as aimed at sharing information and assessment of North Korea following the breakdown of last month's summit between the two countries. 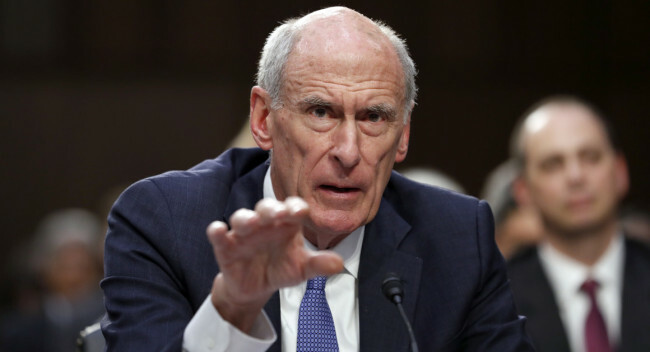 Earlier, a local newspaper reported that US Director of National Intelligence Dan Coats arrived at a US airbase in Osan, south of Seoul, Tuesday night for a three-day stay. The government source confirmed his arrival but declined to elaborate further. North Korean leader Kim Jong-un and US President Donald Trump met in Hanoi, Vietnam, in late February but failed to strike a deal as they differed on the scope of denuclearization steps from Pyongyang and reciprocal concessions, including sanctions relief, from Washington. The US has since stepped up calls for strict enforcement of sanctions on North Korea until its complete denuclearization.